Crashes snarl roads as motorists fight slippery conditions, officials urge residents to stay home. 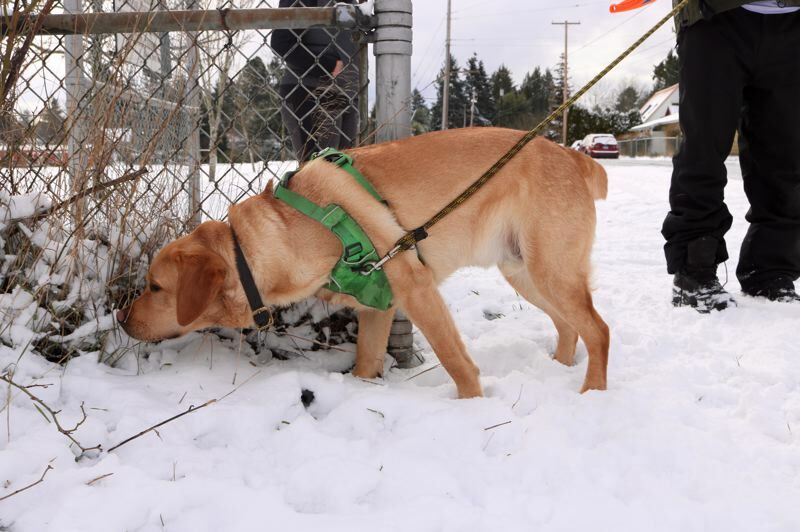 UPDATE: To the delight of dogs and children — and no doubt the ire of cats, delivery drivers and other weekend workers who must keep the wheels of commerce churning — a much-heralded blanket of snow covered parts of the Portland area overnight. 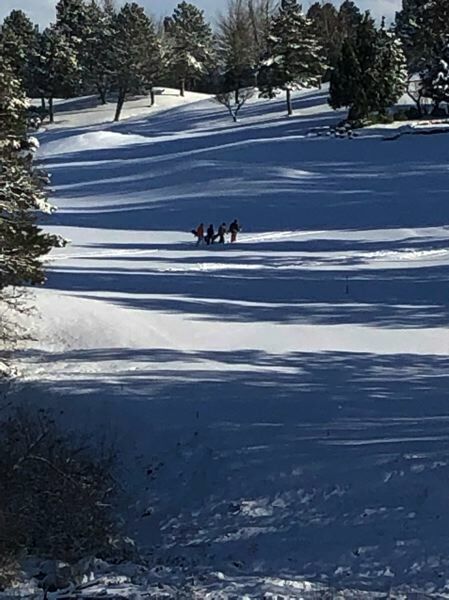 Portions of Northeast Portland reported 3.9 inches of snowfall by 4 a.m. on Saturday, Feb. 9, according to the National Weather Service. 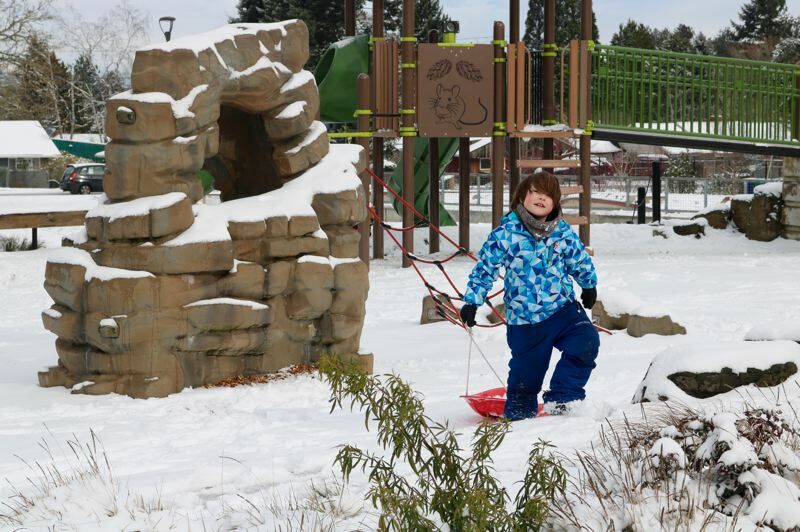 The slide was slick with snow at Khunamokwst Park in the Cully neighborhood — but that didn't bother David, 8, who used the drifts at the bottom of the slide as a fluffy crash pillow. "I like it, the snow, but if it snows all the time I'd never go to school," he said, indicating that he'd miss attending Creative Science School. 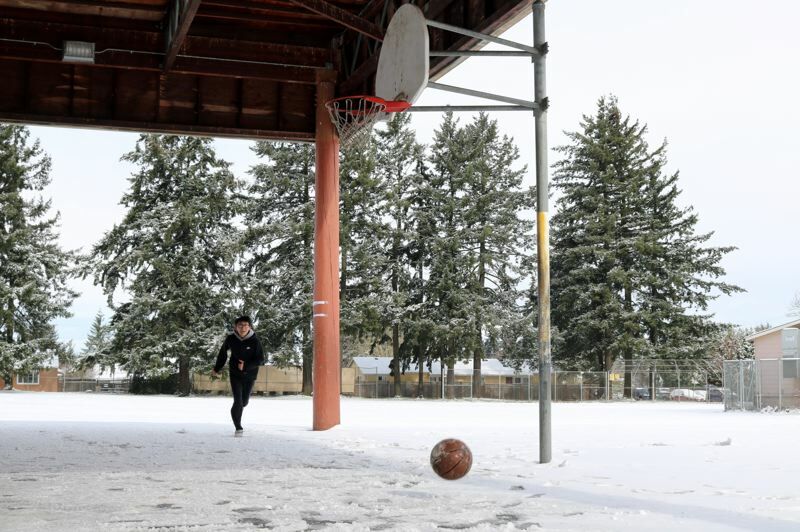 In nearby Rigler Elementary, 14-year-old Madison High freshman Ishmael used the freezy breeze as an opportunity ... to shoot hoops and sink freethrows. Ishmael, who roots for the Trail Blazers, said he didn't plan on partaking in traditional activities such as making snowangels or a snowman. "I like it when it's this time," he said. "You have fun with your family, together." 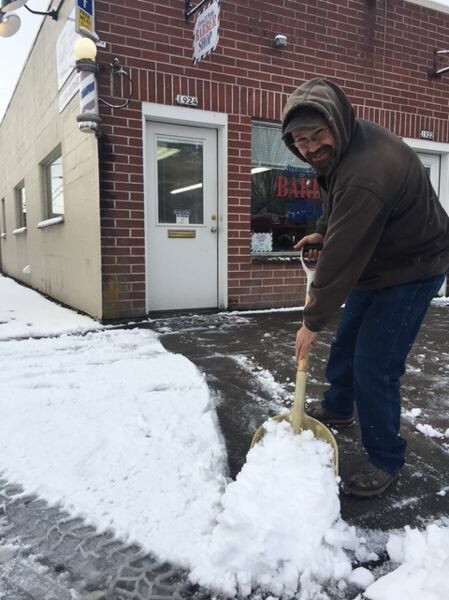 With more snowfall on the horizon and a lingering chill, city and Multnomah County officials scrambled to open a fourth severe weather shelter at the Mt. Scott Community Center. The Joint Office of Homeless Services had already opened Bud Clark Commons, Imago Dei and the Sunrise Center to people in need of overnight shelter, for a total of more than 2,000 beds available Saturday night. Mt. Scott Community Center, 5530 S.E. 72nd Ave., will be open to adults, couples and pets from 7:30 p.m. Saturday to 8 a.m. Sunday, Feb. 10. About 655 of those beds are open just for the winter, while another 1,365 are open year round. County officials are seeking donations at 2-1-1. TriMet officials reported that the regional transit service is "rolling well," while asking riders to plan some extra time before trips, noting that road conditions and temperatures will inevitably change. MAX trains are said to running without issue, while most buses are operating with chains. At least six lines are traveling along detour routes, and others are moving slower than usual. LIFT paratransit service is only providing access for medical trips at this time. 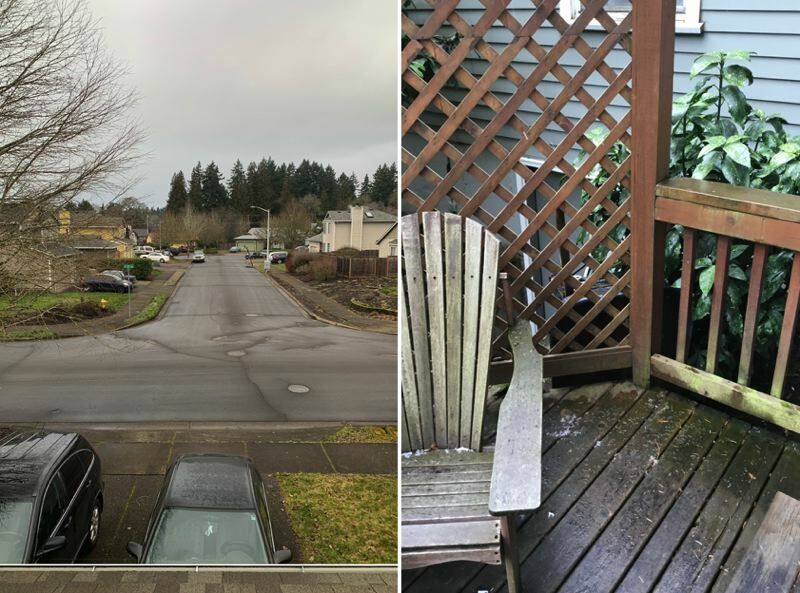 There was snow reason for panic in sections of the metro region, with residents from Lake Oswego to Hillsboro reporting either a light dusting or bare ground. 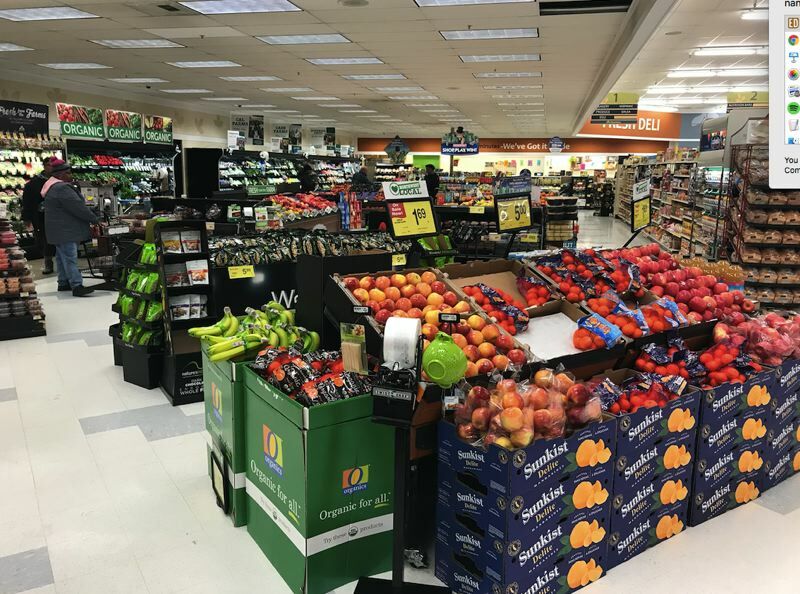 And while many media outlets reported empty shelves at local grocery markets, foodstuffs and other supplies appeared to be well stocked by mid-day Saturday. Snow arrived as predicted in the Portland area overnight, aided by dropping temperatures that created the right conditions for it to stick. Crashes had snarled traffic on several major roads by early morning, including I-205 near Portland International Airport. TriMet buses were running on chains and some lines were canceled. Riders are urged to check for updates at trimet.org/#alerts. 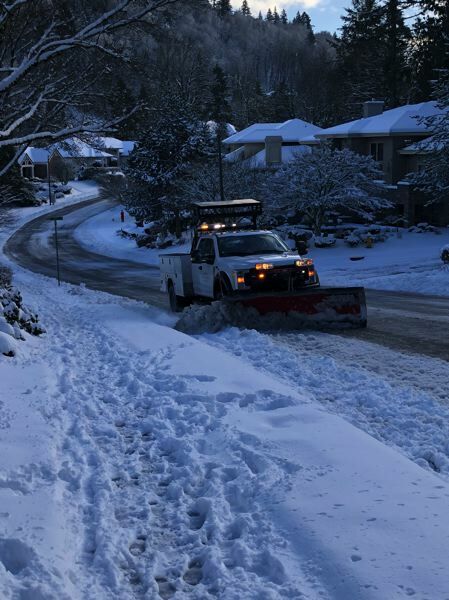 The National Weather Service tweeted early Saturday there are reports of 4 inches of snow or more in the east side of the Portland metro and Clark County. Saturday morning will see freezing temps around the metro and in the 20s in the Columbia River Gorge. 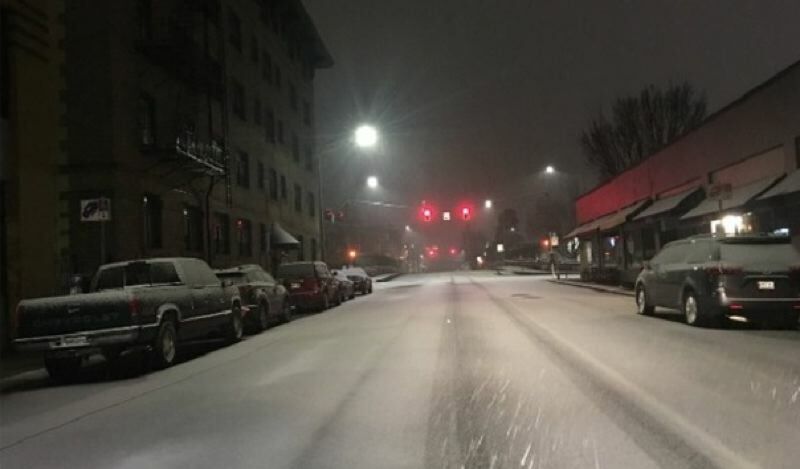 KOIN 6 News Chief Meteorologist Natasha Stenbock said snow totals at Portland International Airport may end up around 1 to 3 inches by Saturday night, with higher totals on the eastern side of the Portland metro area. Southwest Washington through Clark County and the Gorge will also see those higher snow totals. Beginning Sunday night there are more opportunities for accumulating snow through Wednesday -- which may bring school delays or cancellations. 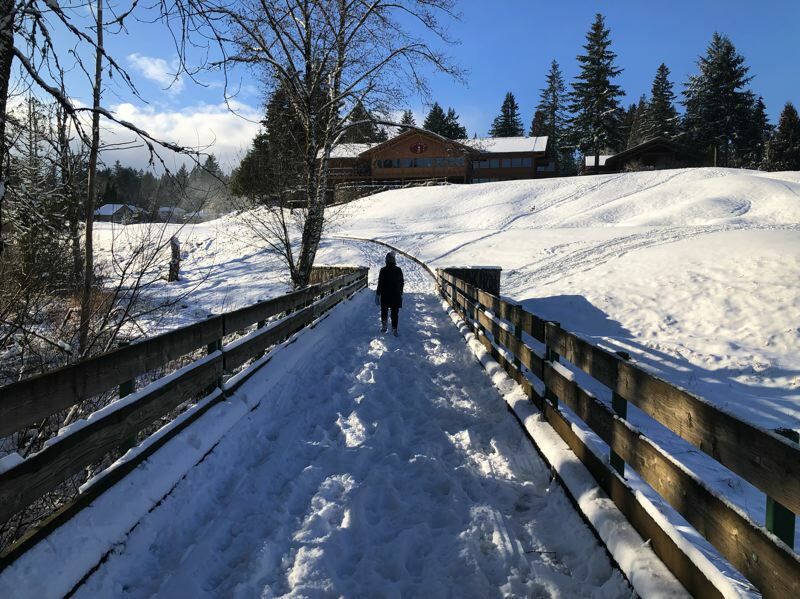 The snow first started accumulating earlier Friday evening in outlying areas like Kelso and Troutdale, but soon reached all areas at or above the 500 foot level. Several institutions announced they were closed Saturday, including Portland Community College, the Portland Children's Museum, the Mittleman Jewish Community Center, and Saturday Academy. Michelle Obama postponed her Saturday appearance at the Moda Center until March 19. KOIN 6 News is a news partner of the Portland Tribune and contributed to this story. You can find an earlier Portland Tribune story with links to more information here.